When the dance reaches its high tempo, it is interesting to see the dancers swirling with great speed. There is no specific time limit set for this dance and it could continue into the twilight hours. 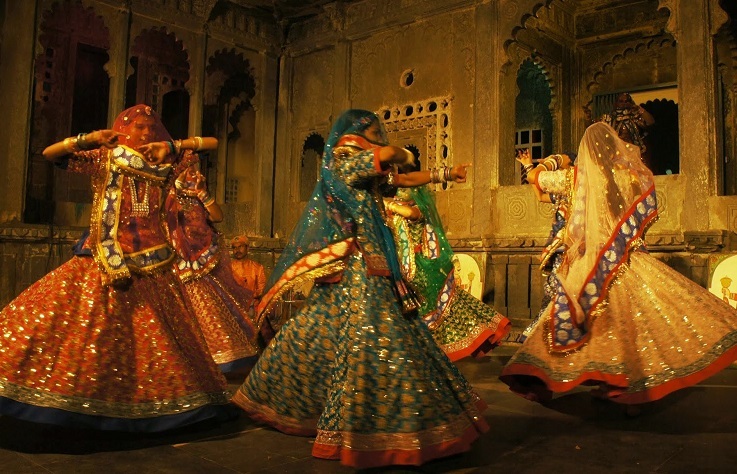 In different regions of Rajasthan, the Ghoomar dance follows varying styles influenced by local traditions. The community of snake charmers in Rajasthan is known as Kalbeliiya. In olden days they moved constantly from one place to the other in search of livelihood as well as catching snakes as also trading in snake venom. The dress as well as the movements in Kalbeliya resembles the way a snake moves. In modern times there are fewer dense forests and snakes too have become rare in densely populated areas. 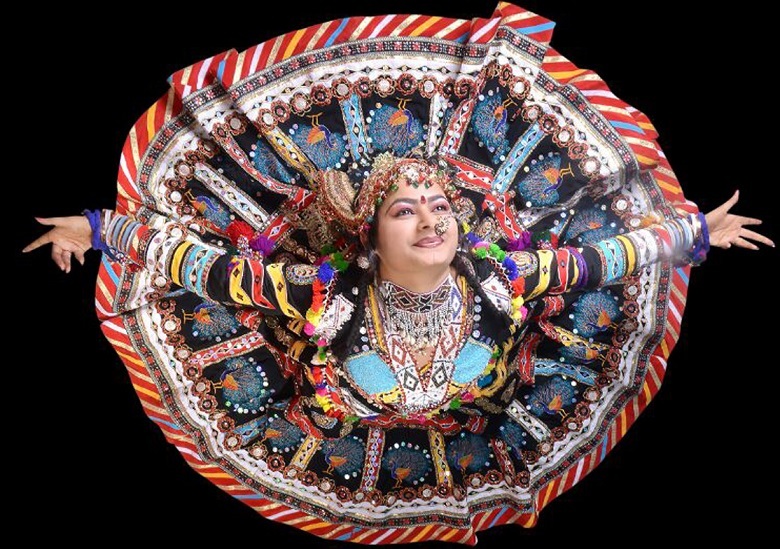 The Kalbeliya dance which is another form of Rajasthani folk dance has thus evolved to be a life supporting activity for the community. The dexterity with which the dancers (mostly women) move their body is a treat to watch but extremely exhausting for the dancers. This form of dance is prominent particularly during the Holi festival celebrated across India and particularly so in Rajasthan. These dance forms merge beautifully with the vibrant colours that you will also enjoy around Rajasthan, be it the dance, apparels, frescos or the havelis.